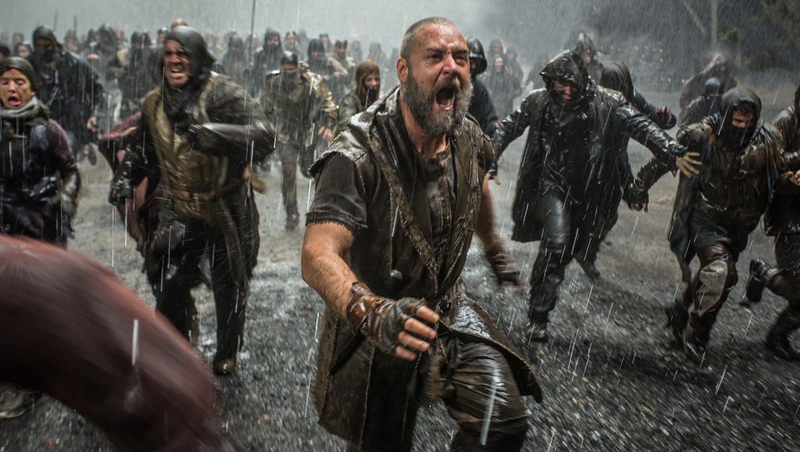 Officials say censors in Bahrain, the United Arab Emirates and Qatar will ban the release of "Noah," the upcoming big-budget Hollywood film starring Russell Crowe as the ark-building prophet. Juma Al-Leem, director of media content at the National Media Center in the UAE, told The Associated Press on Thursday that the movie will not be allowed in cinemas because it contradicts a generally agreed upon taboo in Islam of depicting a prophet. Paramount Pictures told the AP that along with the UAE, censors in Qatar and Bahrain also have confirmed they will not release the film because it contradicts the teachings of Islam. Officials in Pakistan and Tunisia say they doubt censors will approve the movie. The film, directed by Darren Aronofsky ("Black Swan") and also starring Emma Watson, Jennifer Connell, Logan Lerman and Anthony Hopkins, will open March 28 in the U.S.